A measured ride saw Lorenzo Baldassarri secure his first World Championship podium, continuing an upward swing in results. 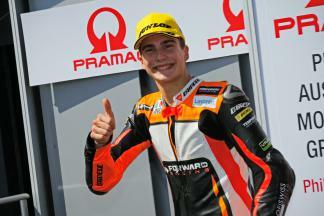 Starting from ninth on the grid, Forward Racing’s Lorenzo Baldassarri was aiming to maintain his top ten position as the race got underway. The early stages saw the tall Italian struggle as he was shuffled around by several hyper aggressive Moto2™ riders. 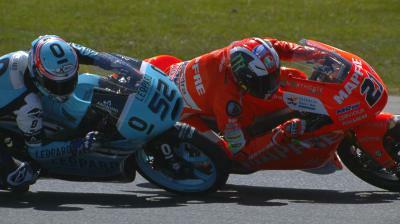 As the action settled down Baldassarri found his pace and soon began to make his way up the field and by the tenth lap he was battling with 2015 Moto2™ World Champion Johann Zarco for fifth. Luck played a role in his podium as both Jonas Folger (AGR Team) and Thomas Luthi (Derendinger Racing Interwetten) encountered problems. The last seven laps were perhaps the most tense of the Italian’s career as he rode carefully to maintain third and avoid falling. Prior to the Australian GP Baldassarri’s best result was seventh, achieved at the San Marino GP in 2015. The path to this first podium has been difficult, his first year in the Moto2™ World Championship was plagued with crashes but under the tutelage of the VR46 Riders Academy he has grown to become one of Italy’s rising stars. Both Baldassarri and Forward Racing teammate Simone Corsi have 72 points, but it is Baldassarri who holds 11th on virtue of this podium finish. 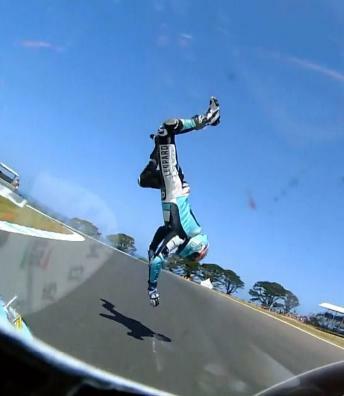 Some of the best Moto2 & Moto3 overtaking moves from the weekend at the #AustralianGP. 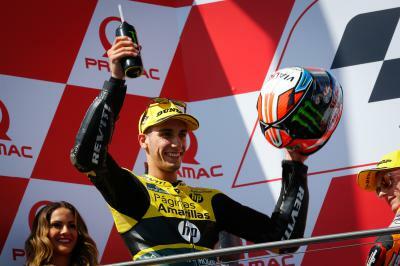 Alex Rins overcomes nervous opening laps to dominate the Pramac Australian Motorcycle Grand Prix and take his second win of 2015. Sam Lowes secures his second best result of the season with a determined ride to second at the Pramac Australian Motorcycle Grand Prix. 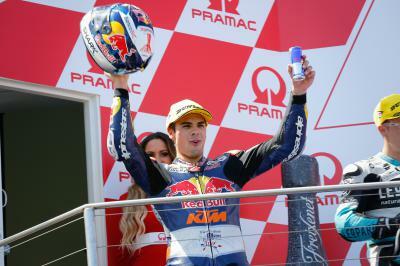 Victory at the Pramac Australian Motorcycle Grand Prix keeps Miguel Oliveira’s 2015 title hopes alive as his two rivals crash. 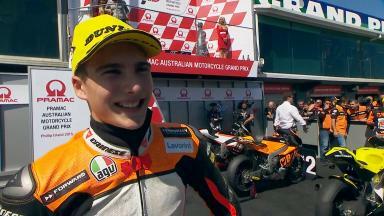 There isn't a better track than Phillip Island to get my victory 50! A frantic Pramac Australian Motorcycle Grand Prix saw Efren Vazquez secure second and bounce back after several difficult races. 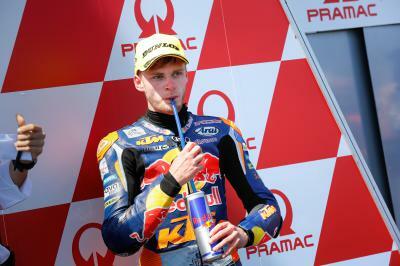 A return to the podium for Brad Binder as he recovers from a near race ending incident at Turn 1. 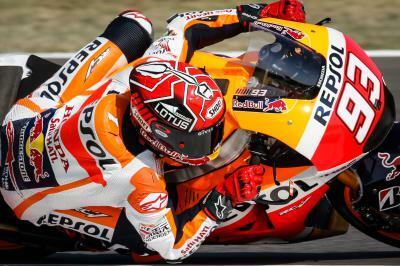 An unbelievable Pramac Australian Motorcycle Grand Prix saw Jorge Lorenzo claw back precious championship points after a titanic clash. 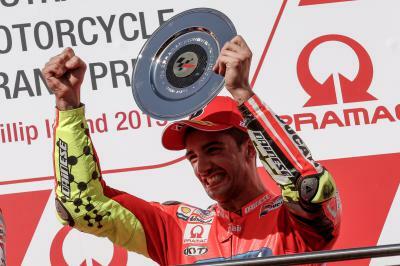 Andrea Iannone brought the fight to three of MotoGP™’s biggest names and secured his third podium of the year. #TheIslandBattle: The race of the year… or the decade?! Holly s**t!!! 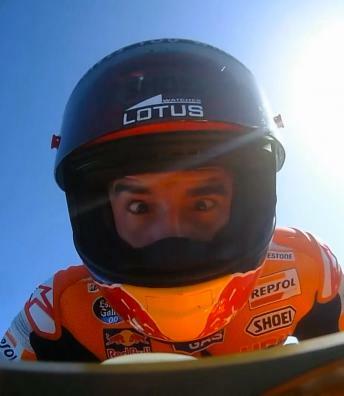 @MotoGP What a race!!!!! 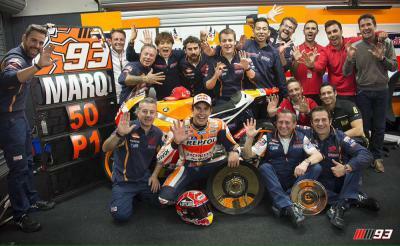 Marc Marquez wins one of the most dramatic MotoGP™ races of all time as Lorenzo reduces Rossi's lead in the standings to just 11 points.